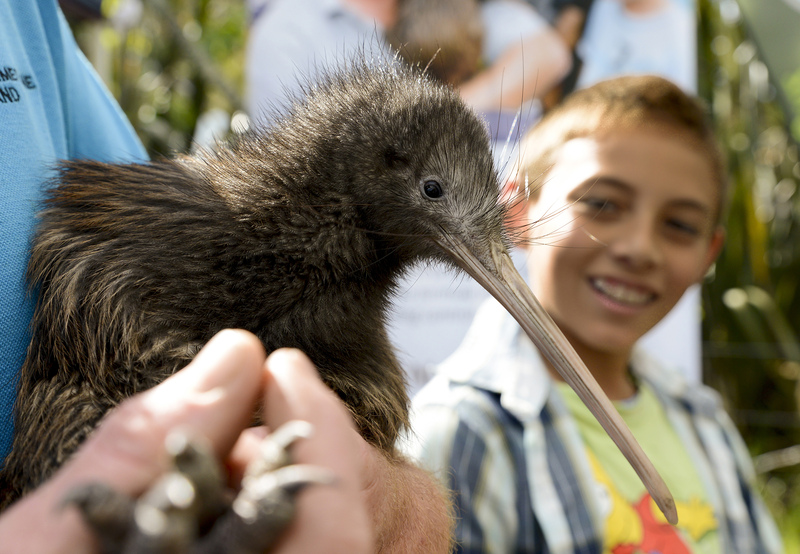 The Kiwi Coast was delighted to give eighty-seven people a close kiwi encounter at Taheke last Sunday. Looking vivacious in their intricate brown feathered cloaks the two adolescent kiwi, named Blossom and Daisy, wriggled a little and occasionally clicked their disapproval when the crowd got too noisy or too close. 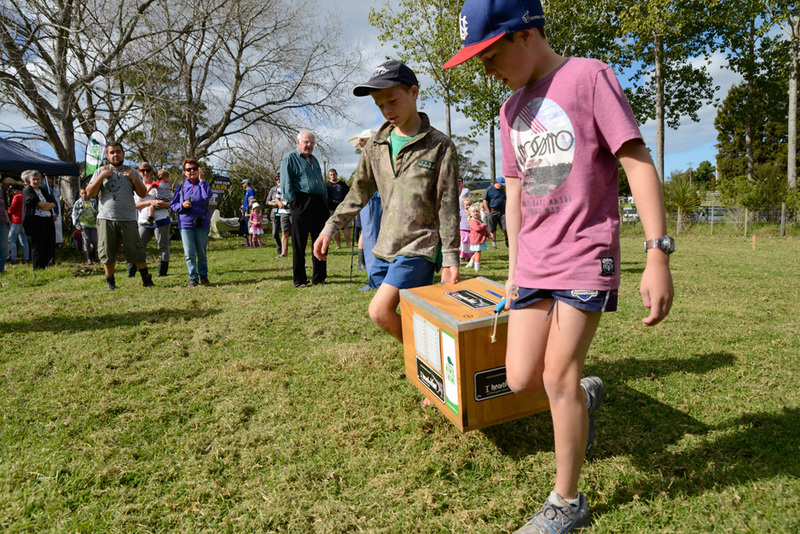 The adoring crowd ranged from toddlers to grandparents. 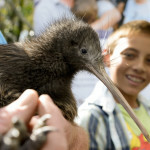 Each person got to see these live wild, kiwi up close for a couple of hours and hear all about their unique features. 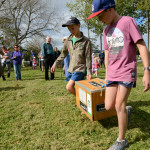 Blossom and Daisy were then taken to their Kauri Mountain release site at Whangarei Heads, where they’ll be in the safe hands of the Backyard Kiwi project who have worked hard to reduce threats to kiwi such as predators and wandering dogs. Blossom and Daisy were born in the DOC Whangarei Kiwi Sanctuary reserves near Purua 18 months ago. 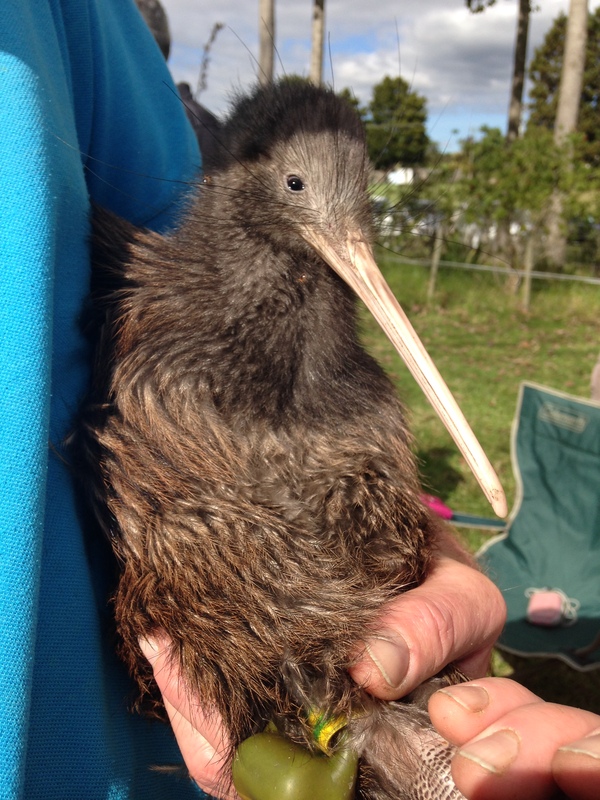 As chicks they were transferred to the safety of the predator free Matakohe-Limestone Island in Whangarei Harbour. Now that they have reached the magic weight of 1kg, they are able to fight off predators such as stoats and feral cats, and so can return to the mainland once more. 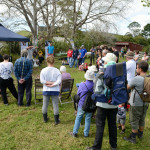 The live kiwi encounter was hosted by Taheke Landcare Group. 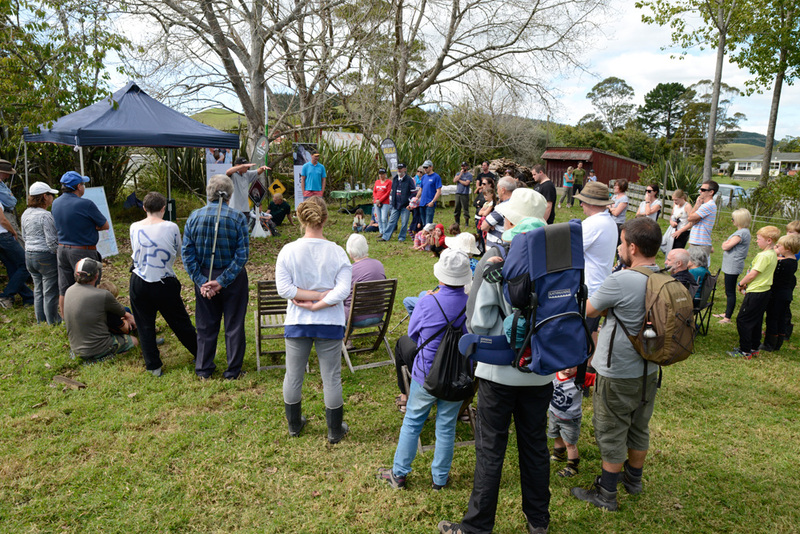 Taheke Landcare are strategically located between the two kiwi strongholds of Tutukaka and Whangarei Heads. 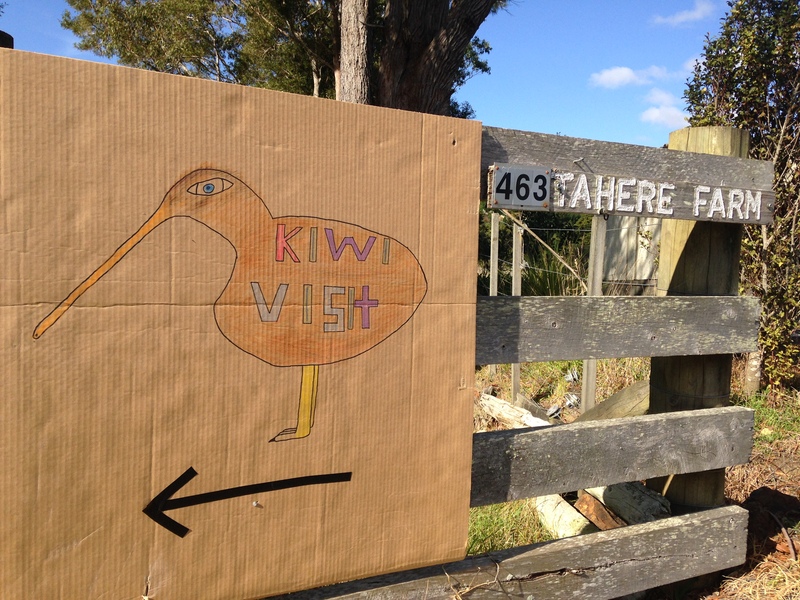 Kiwi have dwindled over the last 10 years at Taheke to the point where they are no longer seen or heard by most landowners. However, despite only starting a couple of years ago the group have already eliminated over 40 stoats and are getting ready for kiwi to return as they move through the Kiwi Coast. 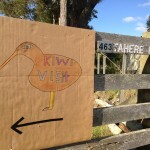 Fore more information on kiwi encounters or to get involved in the Kiwi Coast contact Ngaire Tyson, the Kiwi Coast Coordinator.